Ask anyone in Scotland, and they’ll tell you (perhaps not in the exact same words) that Edinburgh is the jewel of Scotland. Don’t be put off by its nickname, Auld Reekie, although the old town with its smoky chimneys certainly deserved it in the past. Today, Edinburgh is an labyrinthine city with tall, majestic buildings that bear their age well, impressive monuments and a pleasant mix of old and new that never overpowers a first time visitor. Discover the mysteries of the Scottish capital with this guide to the best attractions in Edinburgh. When you step off the bus on Princes Street, the first thing that strikes you is the silhouette of Castle Rock in the distance, with the dark hulk of the ancient castle looming over the city. 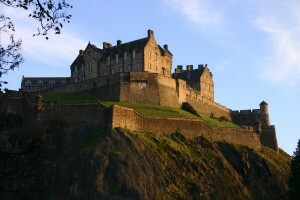 Edinburgh Castle has been a royal residence since the 12th century, and has been in use ever since. Today, the castle is not only the most recognizable symbol of Edinburgh and Scotland, but also an immensely popular tourist attraction – and if you’re to believe the stories, also one of the most haunted places in Britain :D.
Edinburgh’s mysterious atmosphere is mostly given by the large number of alluringly creepy attractions scattered around the city. 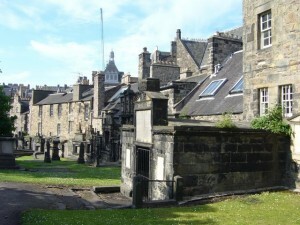 Mary King’s Close, for example, was a section of the city until it was completely sealed off during a bubonic plague epidemic in the 17th century. Today it is a commercial tourist attraction where you can learn more about life in the city in the past, as well as about the bubonic plague. Watch out for hauntings! 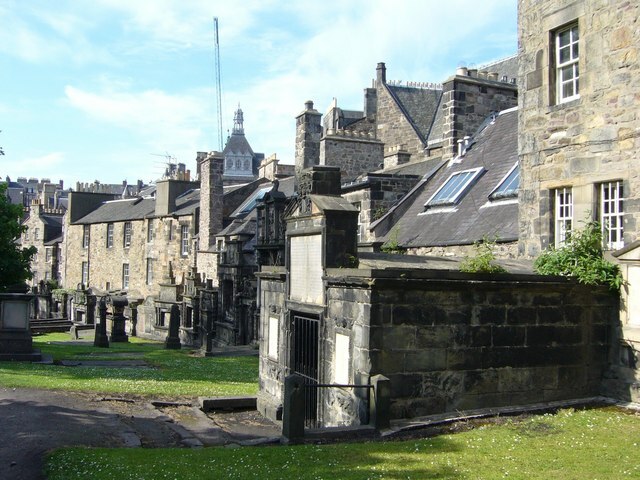 Another one of the best attractions in Edinburgh, the Kirkyard is the final resting place of many important people from the city’s past, and also the place where the endearing story of Bobby, the dog that didn’t want to leave his master’s grave, originated. Great for walks, but not at night (yes, it’s supposedly haunted). The Royal Mile is one of the liveliest and most enjoyable streets in the city, lined with shops, street cafes and pubs set against the paved road and very old buildings. 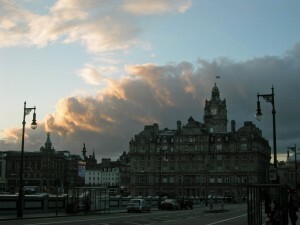 It is the main street of the Old Town, and it runs from Edinburgh Castle to Holyrood Abbey. The street is the most touristic city in Edinburgh, surpassed only by Princes Street. 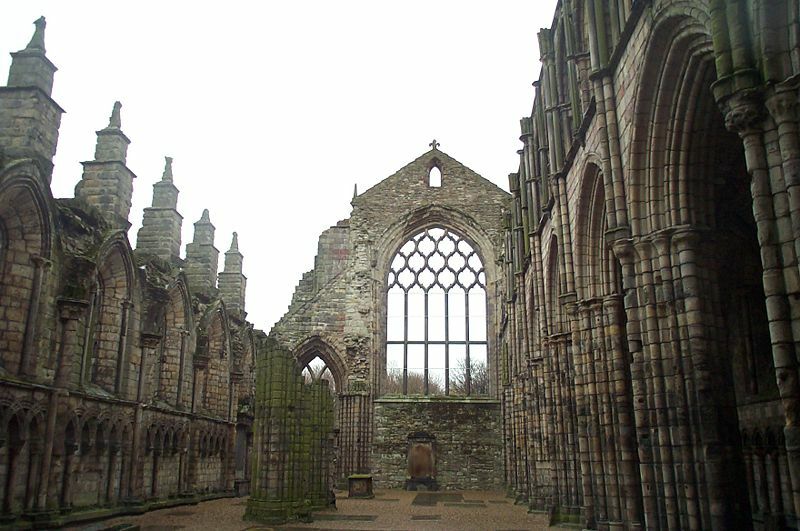 The ruined Holyrood Abbey was built in the 12th century, and amateur historians will love it – it was the place were several Scottish kings and queens were crowned, and several royal weddings took place. Although today it is nothing more than a ruin, just take a walk in the ruined nave and it won’t be difficult to imagine how magnificent it must have looked like in its heyday. Edinburgh is full of amazing historical sights constructed from the middle ages on. 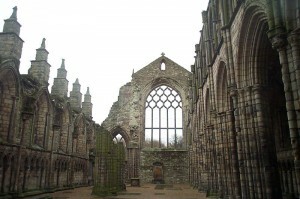 If you want to read more on the topic, check this article on historical sights in Edinburgh.